How new biomedical technologies--from prenatal testing to gene-editing techniques--require us to imagine who counts as human and what it means to belong. From next-generation prenatal tests, to virtual children, to the genome-editing tool CRISPR-Cas9, new biotechnologies grant us unprecedented power to predict and shape future people. That power implies a question about belonging: which people, which variations, will we welcome? How will we square new biotech advances with the real but fragile gains for people with disabilities--especially when their voices are all but absent from the conversation? This book explores that conversation, the troubled territory where biotechnology and disability meet. In it, George Estreich--an award-winning poet and memoirist, and the father of a young woman with Down syndrome--delves into popular representations of cutting-edge biotech: websites advertising next-generation prenatal tests, feature articles on "three-parent IVF," a scientist's memoir of constructing a semisynthetic cell, and more. As Estreich shows, each new application of biotechnology is accompanied by a persuasive story, one that minimizes downsides and promises enormous benefits. In this story, people with disabilities are both invisible and essential: a key promise of new technologies is that disability will be repaired or prevented. In chapters that blend personal narrative and scholarship, Estreich restores disability to our narratives of technology. He also considers broader themes: the place of people with disabilities in a world built for the able; the echoes of eugenic history in the genomic present; and the equation of intellect and human value. 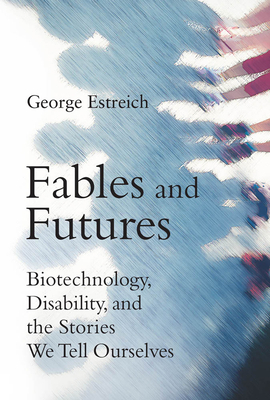 Examining the stories we tell ourselves, the fables already creating our futures, Estreich argues that, given biotech that can select and shape who we are, we need to imagine, as broadly as possible, what it means to belong.